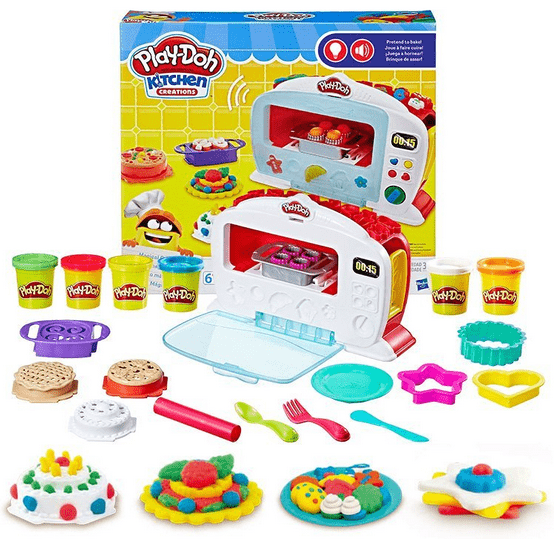 With Play-Doh’s Kitchen Creation line, the little ones in your life will feel as if they’re baking exciting food in their very own kitchen. Of course, the good they’re making isn’t real, so you can’t actually eat it – it’s not like an Easy-Bake-Oven or anything like that, but like we said, in their mind, they will feel as if they’re doing something exciting …that is because the magical oven is all about excitement! Magical excitement.